← BeatSkillz Bollywood Maharaja – 50% off ! 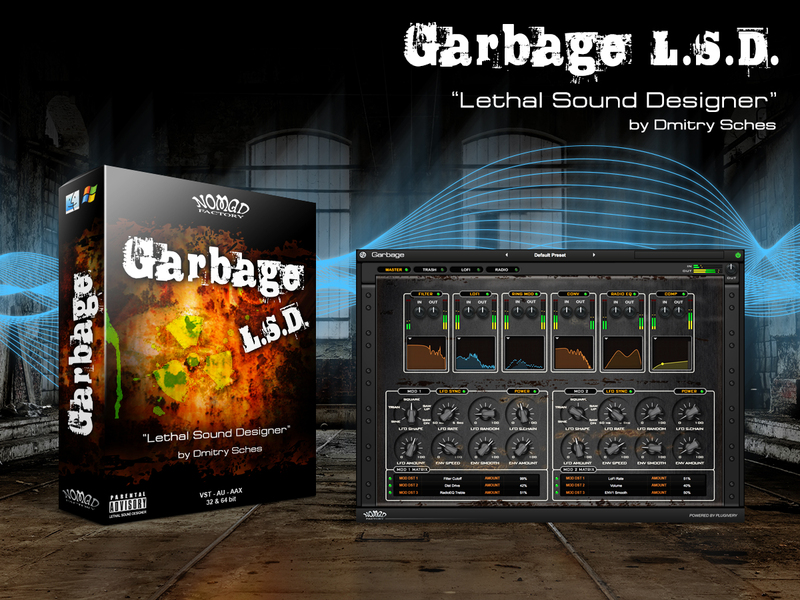 Garbage LSD, developed by Dmitry Sches won the prestigious “Best Alternative Effect Plug-in” last year, beating out some very well known effects from other manufacturers. It is currently on promotion at the crazy price of $25 (LIST $129) but only until the end of December, so hurry if you want to get it at a ‘no-brainer’ price. Garbage LSD is now available for the promo price of $25 (LIST $129) at the DontCrack Store. This entry was posted in DontCrack, Plug-ins, Promotions and tagged Compression, Convolution Reverb, Distortion, Dmitry Sches, Garbage LSD, Nomad Factory. Bookmark the permalink.